Posted on September 19, 2014 by Jian Akiraceo. 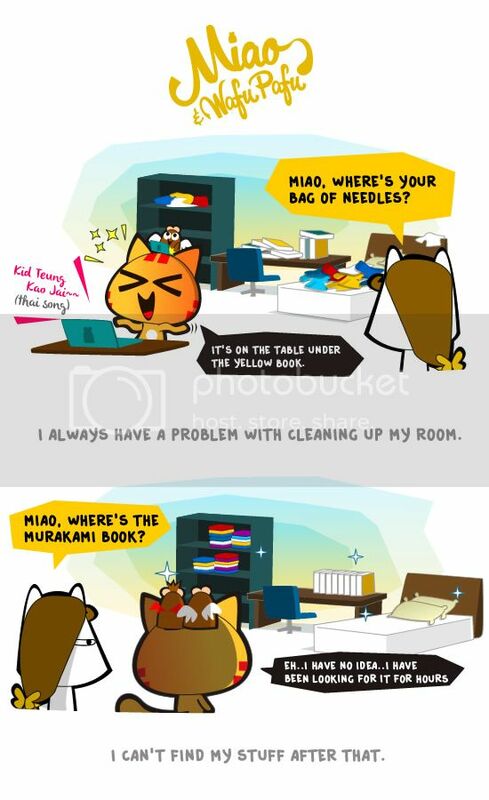 This entry was posted in Room and tagged comic, cute, humor, laugh, miao, wafu pafu. Bookmark the permalink. It’s hard for me too to find something on an organized table.